Angie, Gray, our RWJF Public Health Nurse Leader and her project team are creating resources to support improving the culture of health in WV through Faith Community Nurses. Resources include a Toolkit and Network to expand opportunities for nurses to connect with information and colleagues to support their health ministry efforts throughout the state, especially in rural WV. 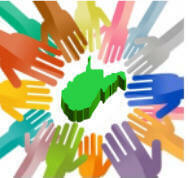 Nurses interested in starting a WV health ministry can access the Toolkit and Network Here.